“Westgate were very fast to respond, and very accommodating for the client we were working for. A first class company that will respond in short timelines”. 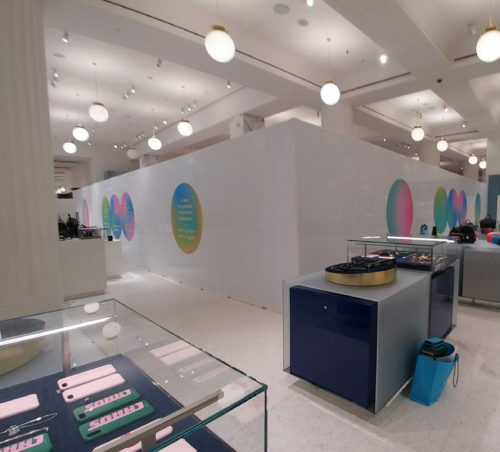 After previously working with contractor ISG, we were asked to supply hoarding for another project they were carrying out – this time within a retail environment. 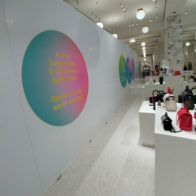 Construction was taking place at a large department store on Oxford Street, London and it was necessary to segregate the works from the general public, as the store was still open during the duration of the project. 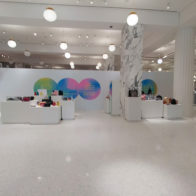 It was important that the materials used delivered a clean public image within the existing environment and did not distract from the store experience. Westgate supplied and installed 60m of Hoardfast PVC panels in three phases during the construction works. The clean white appearance enabled the hoarding to seamlessly fit into the retail environment and the ability to easily add graphics and signage meant it was simple to maintain consistent branding within the store. It also meant it was possible to provide information about the works being carried out, letting customers know what was to come, creating a sense of excitement and anticipation about the project. The hoarding supplied and installed by Westgate allowed the store to remain open with minimal disruption to the customers. The modular panels are simple to relocate and reconfigure, and can be used to create temporary changing rooms or meet other requirements.